Recent data suggests that economic uncertainty will continue to drive most U.S. consumers to be rather conservative with their holiday spending this year. In our 2013 Holiday Shopping report, we asked women to detail their holiday gift budget and spending patterns for 2013 as compared to 2012, and our findings show that these conservative spending trends may not apply to all segments of the female population. We found that over 90% of women are planning to purchase more or the same amount of gifts online in 2013 than they did last year and 40% of women plan to spend more overall this year as compared to last year. 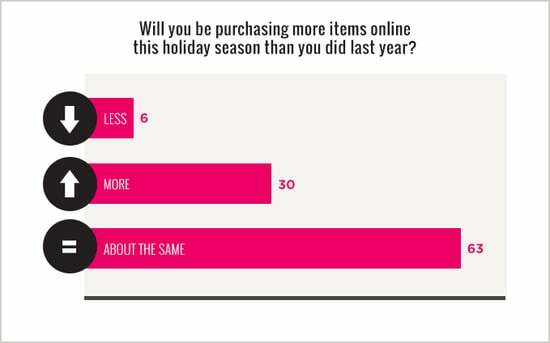 Nearly 40% of women are planning on spending more on holiday gift shopping this year than they spent last year. Women who begin their holiday shopping in December are slightly more likely to plan to spend more in 2013 than those women who begin their holiday shopping earlier in the season. In terms of the number of online purchases, 63% of women plan on purchasing the same amount of items online as they did last year, and 31% plan on purchasing more items online this year. We found that 61% of women typically set a holiday budget each year, and 29% of these women stated that their total gift budget is normally in excess of $500. When asked about their spending last year, over 40% of women admitted that they exceeded their set holiday gift budget. Looking at specific audience segments, women ages 18 to 34 are less likely to have set a budget that exceeds $500, and 49% of women who don’t begin their holiday shopping until December are less likely to set a holiday shopping budget. A large majority of women plan to purchase more or the same amount of items online this holiday season, and 40% plan on spending more on their holiday gift shopping this year, meaning marketers have a tremendous opportunity to tap into this audience of dedicated spenders and boost their holiday sales.